4 inch ABATE of Indiana Logo Sticker. Indoor outdoor sticker. 9 inch ABATE of Indiana Logo Sticker. Indoor outdoor vinyl sticker. 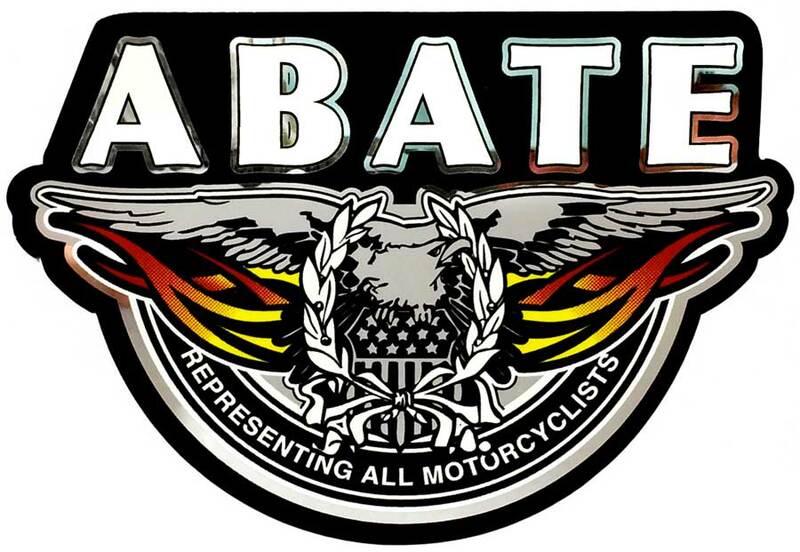 Silver sticker with black lettering, measuring 4" x 2", lets everyone know you're an ABATE member. ABATE Straight Wing Eagle in full color on metallic chrome vinyl decal. Size 3 x 4.5 inches.